If you want a chic and cool look by accessorizing right, try our style pick of the day – L.A.M.B Baguette Handbags. L.A.M.B collection is a collection of apparel and fashion accessories by the American popstar Gwen Stefani and stands for Love, Angel, Music, Baby and the style pick of our day – the rectangular bag is straight from Gewn stefani’s collection during the fashion week at Lincoln Center in Manhattan, New York in on February 11, 2012 in New York City. The L.A.M.B collection of bags is meant for the fashion forward customer who enjoys her fashion, has her own unique style and does not want to look like everyone else. 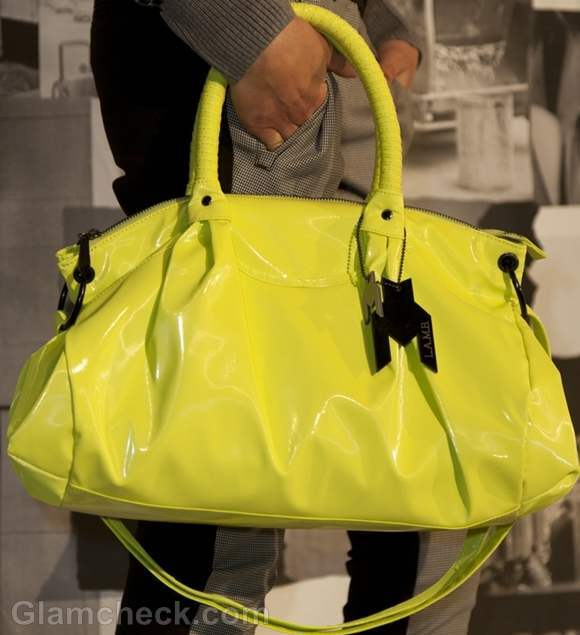 The roomy fluorescent yellow bag clearly will be picked by any such customer. Made in shiny leather, this is modern and eye catching, statement accessory. For the more conservative, yet stylish customer, the black L.A.M.B Baguette handbag surely is a must have. 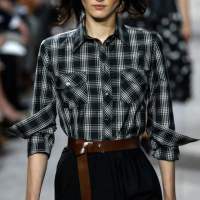 The bag shape – a regular rectangle is great to go with most outfits and the small handles are very versatile to be either casually hung on the shoulder or in hands to carry to any formal or informal gathering. For strict office wear though, a fluorescent bag may not be the right choice, you could however still opt for the black L.A.M.B bag. What to team these with? Want to play safe? 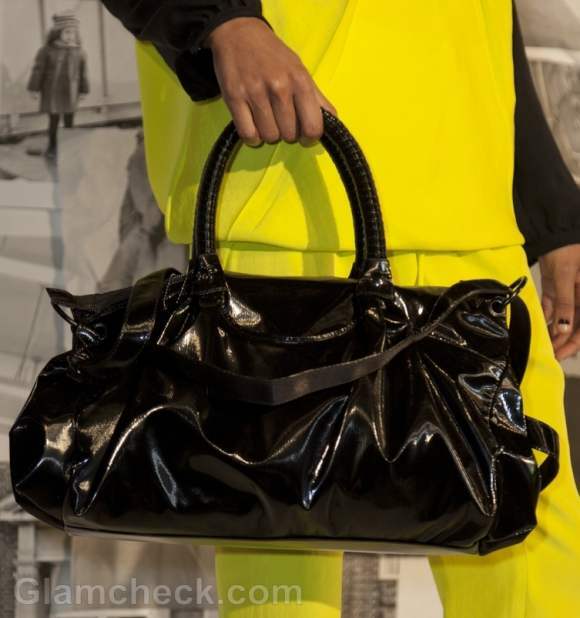 The yellow pop bag can brighten up your neutral outfit and is best taken with an all white or solid black outfit. If you are feeling naughty – you could team it with a bright color blocked dress or pencil pants. The black bag is more middle of the road – can be teamed with almost anything – a pop colored outfit or the traditional neutrals. Since the bags are statements on their own, it would be best to not clutter your over all look and have other clashing or loud accessories with these bags. Make our style pick of the day – the versatile L.A.M.B bag your pick too and write to tell us what you liked about it the most?